RoyalGait is a premier barn wedding venue located in Randolph County North Carolina. 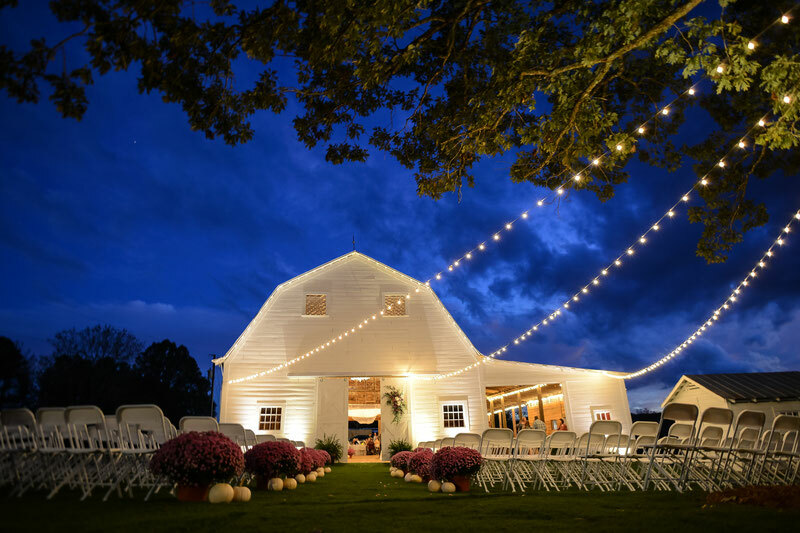 Situated on a historic farm and surrounded by rolling hills, the rustic barn and adjoining spaces offer a unique experience for your special day. Completely restored, the barn offers an elegant backdrop that features beautiful hardwood floors and chandeliers to compliment the rustic appearance that will make a lasting impression. We would be glad to work with you to arrange the details of your special day, using our network of experienced planners, photographers, and caterers. Of course, we are happy to work with your partners as well. Please contact us for more information and to start planning your once in a lifetime experience.